A rare tropical cyclone is bearing down on the Yemeni mainland bringing hurricane-force winds, heavy rain and powerful waves. The city is controlled by al-Qaeda and the BBC correspondents say it is ill-equipped to deal with a disaster. 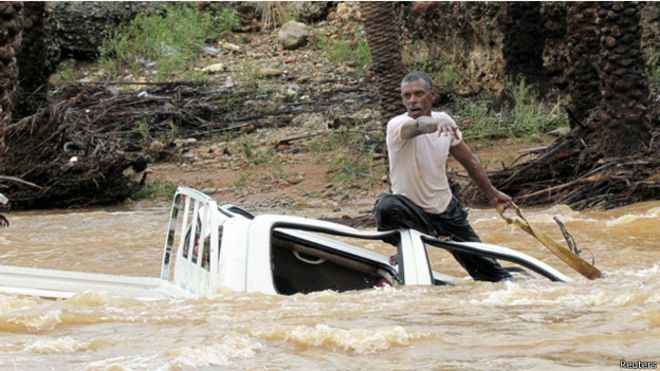 Earlier, Cyclone Chapala hit the remote Yemeni island of Socotra, killing at least one person. Many residents there took shelter in schools and caves.